The latest exhibition at the University of Waterloo Art Gallery (UWAG) showcases the works of two artists: Michel de Broin and Sohelia Esfahani. 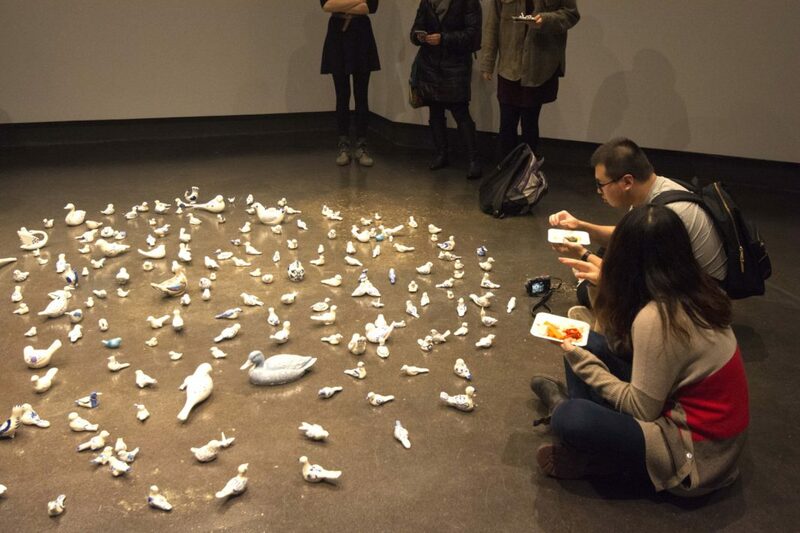 Upon entering the main gallery of UWAG, there lies Blowback and Overpower by de Broin. 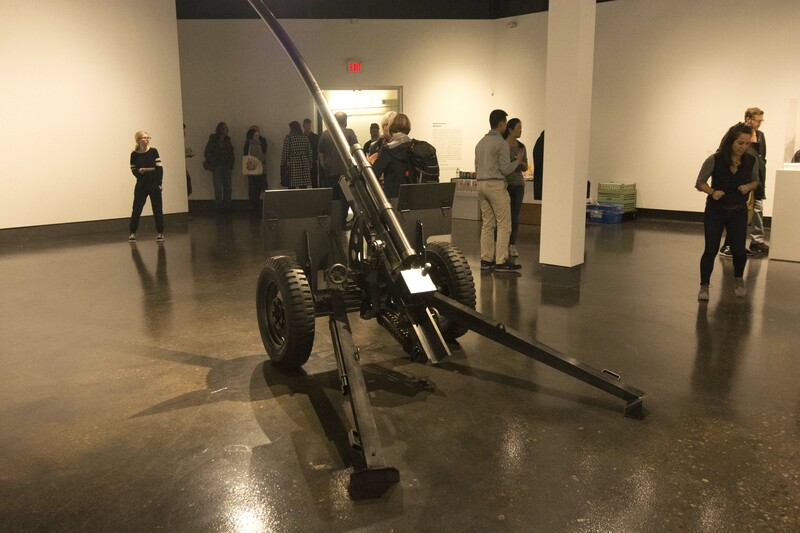 Blowback is a steel sculpture of two connected M2A1 Howitzers (an artillery part), while Overpower is a steel figurine of a knight and a broken light bulb with 10,000 volts passing through one to the other. According to de Broin, the connection between these two Howitzers represents a sabotage. 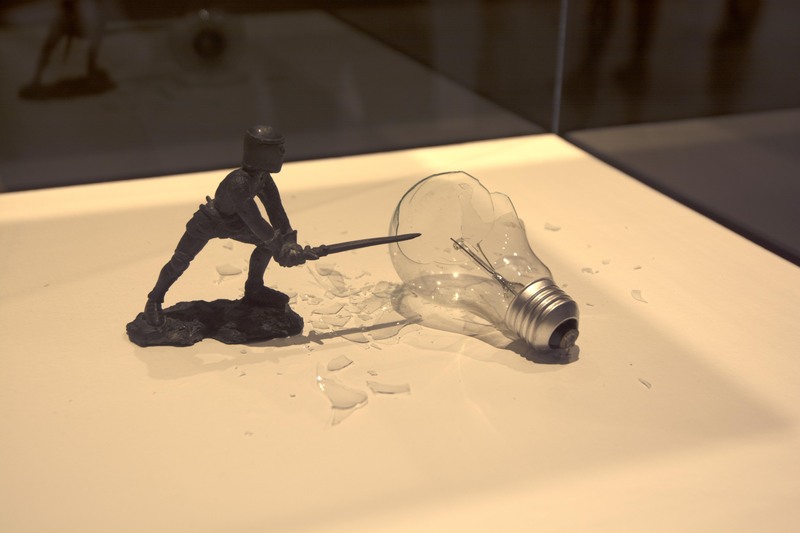 Overpower also connects two opposites with a 10,000 volt spark as “the knight is from the Middle Ages so it’s more about fate and belief, and the light bulb is more about reason, the rationality,” de Broin described. 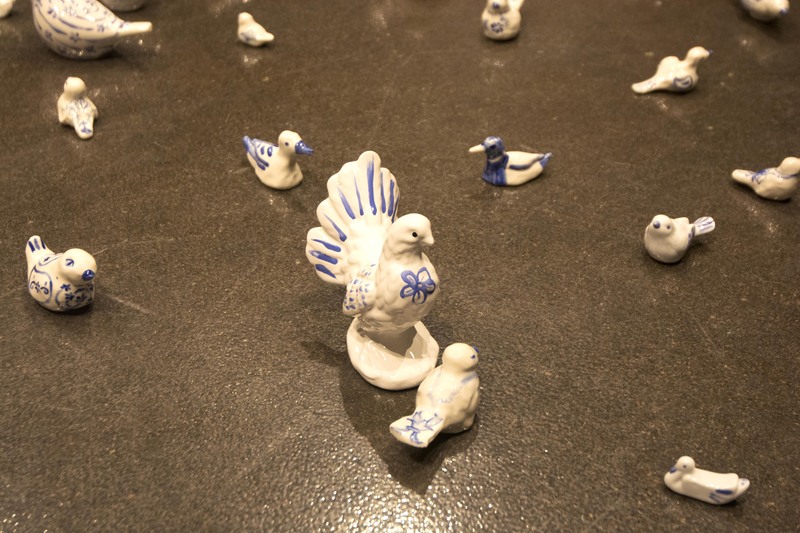 Found in the second gallery, The Immigrants is a collection of blue and white porcelain birds displayed in a circle. 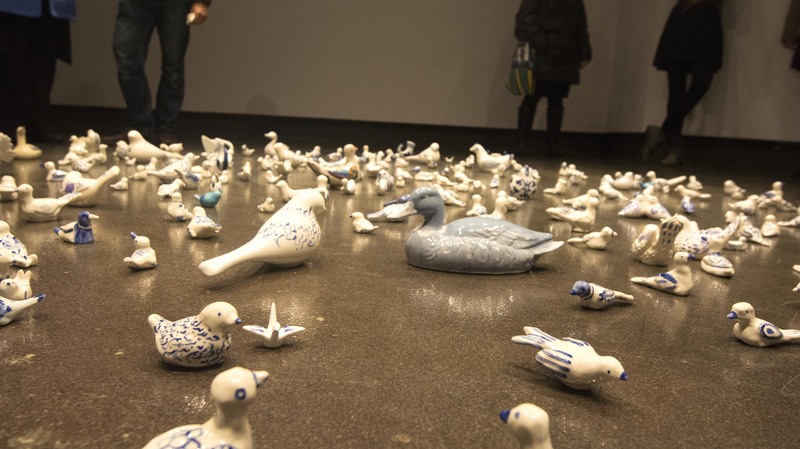 The artwork evokes the movement of culture by immigrants and tourists through these handmade birds, some of which were collected from Esfahani’s travels. The Immigrants by Sohelia Esfahani. Photo taken by Ju Hyun Kim. When making this piece, Esfahani found approaching the concept the hardest, but once she has the concept, the fun of building and collecting the birds starts. Both Esfahani and de Broin advise students who are interested in becoming an artist to “go for it” and not be afraid of mistakes. “‘Til you make it, you don’t know if it’s working or not,” Esfahani said. The exhibition will run until Dec. 16 and can be found at East Campus Hall. 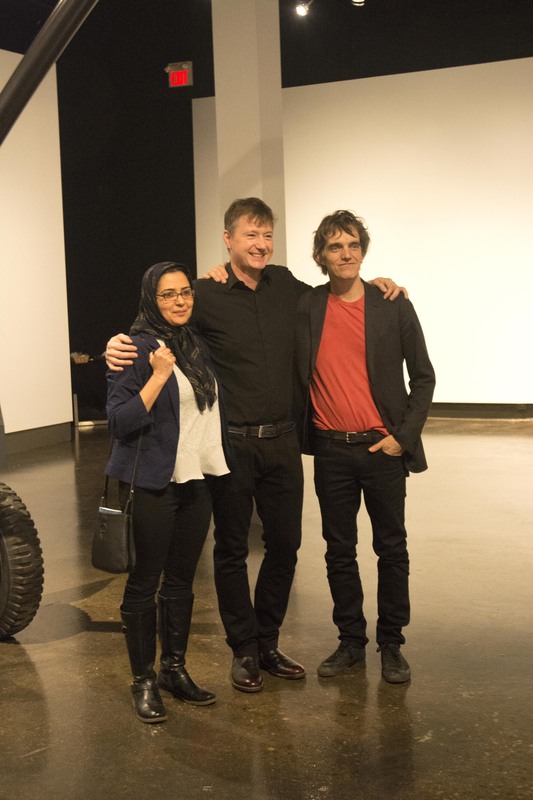 From left to right: Sohelia Esfahani, UWAG curator Ivan Jurakic, and Michel de Broin. Photo taken by Ju Hyun Kim.